Today we get to hear from Mandy! :) I love her blog! She does such a great job with it and takes some fun and awesome pictures of her recipes! She also hosts a link party on Tuesdays that you will have to check out! Be sure and stop by her blog and tell her “hi”!Take it away Mandy…I am so excited to be guest blogging here while Nikki is off enjoying her new baby! I have loved visiting Chef in Training so when Nikki put out the call for guest bloggers to help out while she takes a well deserved break, I signed right up. 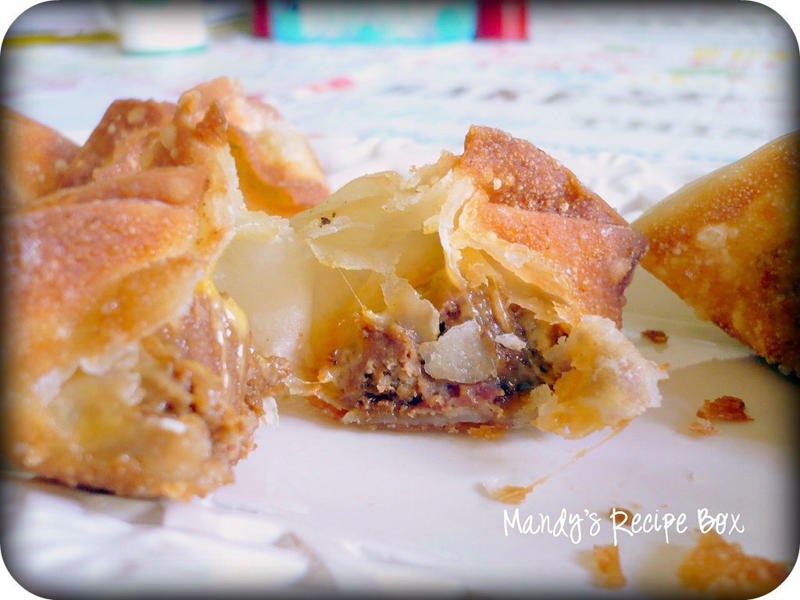 I am Mandy from Mandy’s Recipe Box. 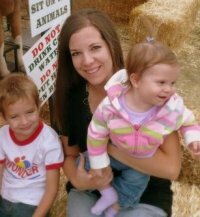 I am a wife to Lance and mom to 3 little munchkins Hannah (8), Preston (6), and Emma (3). I live in the middle of nowhere, Idaho and love it. I love being home with my kids and watching them grow and learn and be silly. We are always in the kitchen cooking up yummy food and treats.Today I am sharing a great recipe for when you don’t want to use your oven. They make a great appetizer or main dish. I hope you like them! 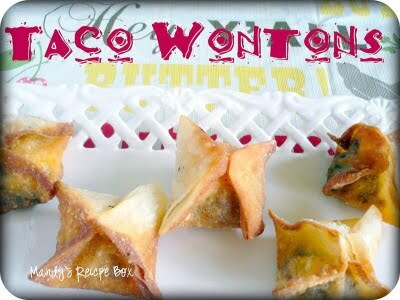 I really hope you like these fun Won Tons. They are so tasty! Thanks to Nikki for letting me post on her blog. So fun and I hope to make more new friends from those of you who read her yummy blog. Come visit me and be sure to say “Hey” while you’re at it. YUM! I am the worst cook ever. Worst. Ever. Think I can pull this off? So glad you like the Taco Wonton's Mandy! It is My hubby's favorite! Those look great, how creative!! These will be at my next party! Great post and wonderful blog! What a fun recipe, fusing two cuisines! Where have these little babies been all my life!! Love these Mandy! Wonderful guest post!! 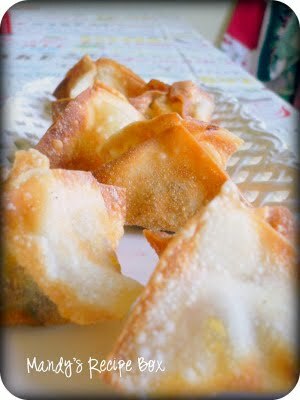 Do you think these could be baked instead of fried?